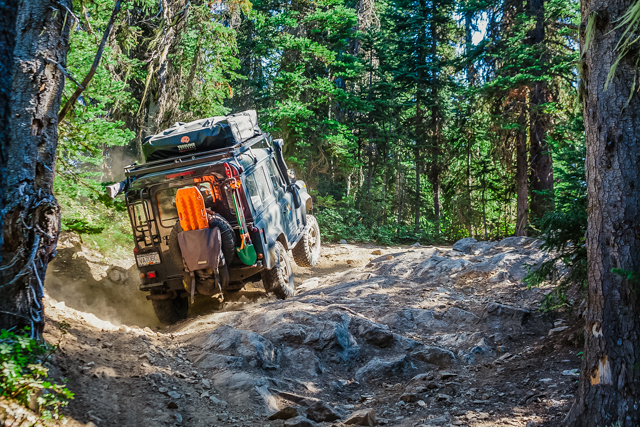 Overlanding BC believes in giving back where we can and where appropriate to our brand. We fully support the amazing work and opportunity that the Rebelle Rally presents to female adventurers. It was a natural choice to support two teams local to us on their quest to complete the Rebelle Rally 2018. Our sponsorship took on two forms, one of a cash donation and the other of education time. Deciding to support two teams was a perfect choice. We had two teams that live in the Pacific Northwest that we wanted to support, both of which are hugely enthusiast and experienced pairs. It’s a joy to help in a small way their journey with the Rebelle Rally. For more information and to help support them, please follow the link to their team bio’s! Elise Bent and Mercedes Lilienthal are the Team Free Range Dames. We decided to help them by a cash donation towards their fundraising campaign. We know both Elise and Mercedes from the Overlanding world and have spent time with them both in Arizona, Oregon and British Columbia. We wish them safe and fun adventures on their Rebelle Rally quest. Penny Dale & Thayer Cook are Team Anamcara. We wanted to help them by providing some driver training both in generic off road driving techniques and training specific to their vehicle and its technology. We have spent time with both of them in Arizona and British Columbia including a fantastic three days of teaching on our iconic Whipsaw Trail. We wish them safe and fun adventures on their Rebelle Rally quest. The Rebelle Rally is a unique women’s-only traditional navigational competition held each October. This rally was started in 2016, by Emily S. Miller, a successful rally race driver and off-road instructor. It isn’t a race for speed, but a challenging vehicular-based event that uses your navigation skills and driving wits to find hidden checkpoints across the Nevada and California desert, as well as Glamis sand dunes. Rally teams need to find each checkpoint at the right time, in the right distance, while only using only maps, compass, and a road book. No technology is allowed during the 10-day rally. Teams of two surrender their phones, Wi-Fi enabled DSLRs, GPSs, and all other tracking/navigational helpers. It’s returning to a time when explorers navigated with map and compass, vs. a TomTom to tell them where to turn.